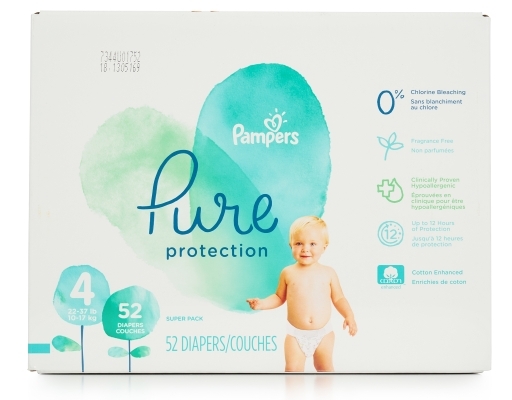 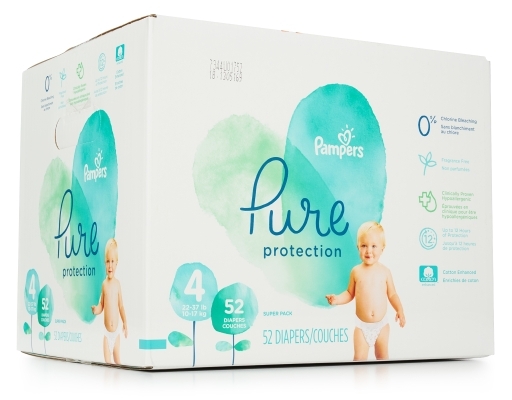 New Pampers Pure Protection diapers are the first product that combines premium cotton, soft plant-based fibers and other thoughtfully selected materials with Pampers trusted protection. 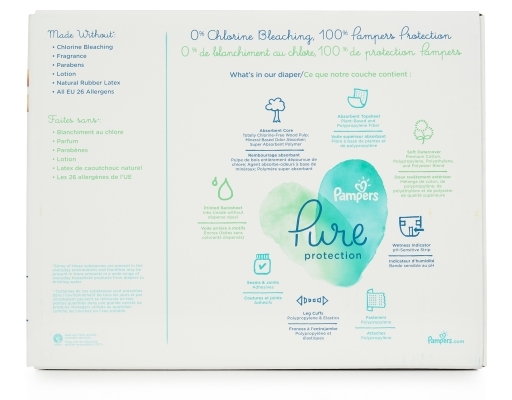 The diapers are made without chlorine bleaching, fragrance, parabens, natural rubber latex or the 26 allergens identified by the European Union. Pampers Pure Protection diapers are dermatologically tested and clinically proven hypoallergenic and gentle for baby’s delicate skin. 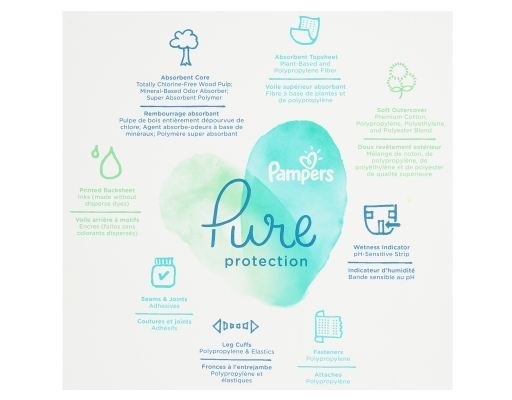 Pampers Pure Protection diapers are also independently reviewed and accredited as skin safe by the Skin Health Alliance.